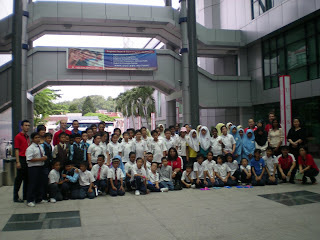 On 22/5/10 , 31 pupils from Year 4- 6 accompanied by Pn. 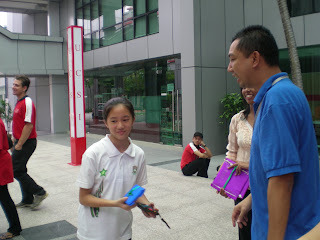 Ng and Mr. Zainul were in UCSI for a trial English lesson in conjunction of their Open Day. 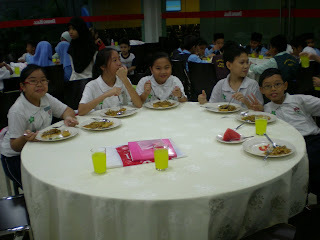 Pupils from SK Cheras Indah were also there. 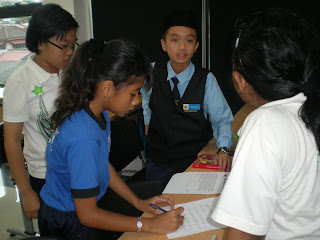 After a short briefing, the pupils were brought to their classrooms .They learnt through games, songs , and etc. At about 11.45a.m. 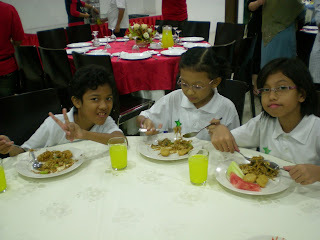 , they had their lunch . After that, it was games time. 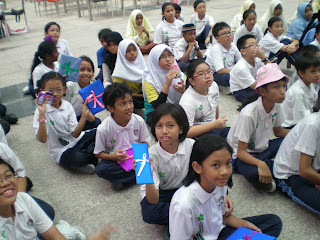 They played ' Human Scrabble ' and Treasure Hunt '. Our pupils won both the games ! After a photo session , it was time to leave . 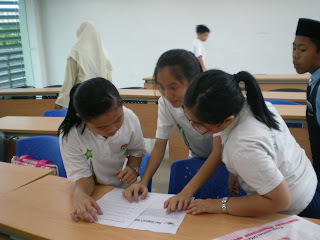 The pupils enjoyed themselves and definitely learnt a lot . The English Panel of the school would like to thank UCSI for their invitation and we are looking forward to working together again with them in the future .